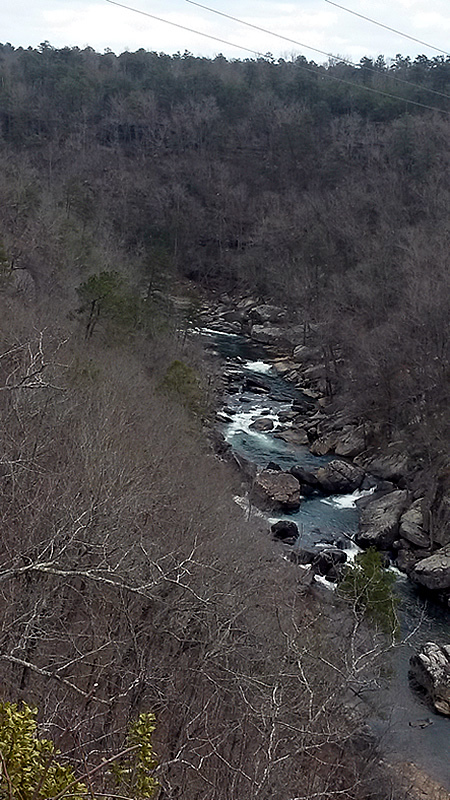 The area known as the "Backcountry area" offers hiking and miles of equestrian trails that offer beautiful, breathtaking views from atop Lookout Mountain and also of the Little River. Trails are wide, mostly rolling hills with some climbs, some rocks, crosses the river twice. Trail head has small parking area but has easy access. 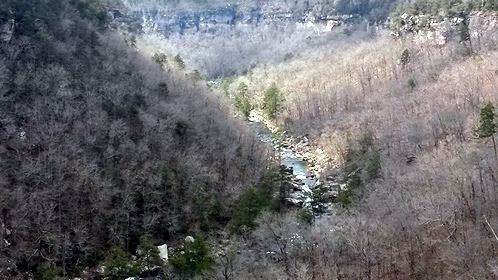 Along the canyon drive are several other trails including trails down into the canyon as well as along the river. 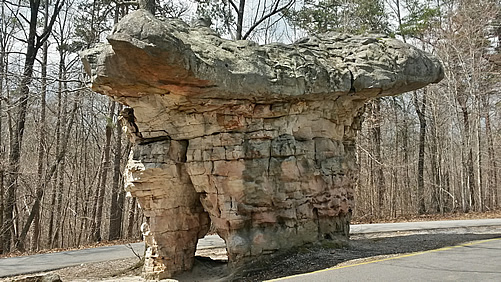 Take Hwy 35 south from Fort Payne for about 7 miles, visitors center on left. No ATVs in the preserve. 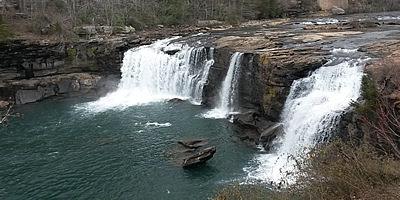 - Little River Wildlife Management Area is know as the Backcountry Area. - Camping only allowed in one of three primitive sites in the Backcountry Area. Slant Rock, Billy’s Ford and Hartline Ford. - 23 miles of roads in Backcountry area (roads 01-11) allow horseback riding. - Hunting allowed in the Backcountry area during certain times of the year. 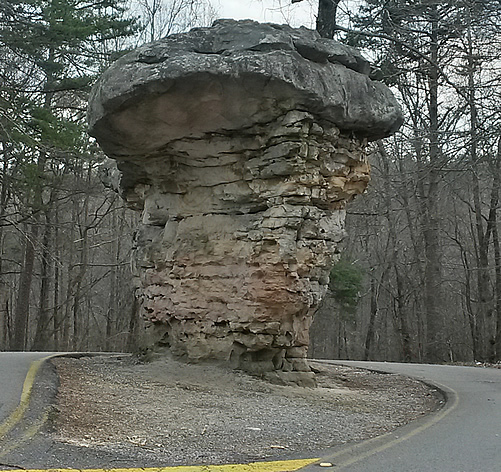 Interesting rock formation along the canyon drive.